Nice and comfortable. 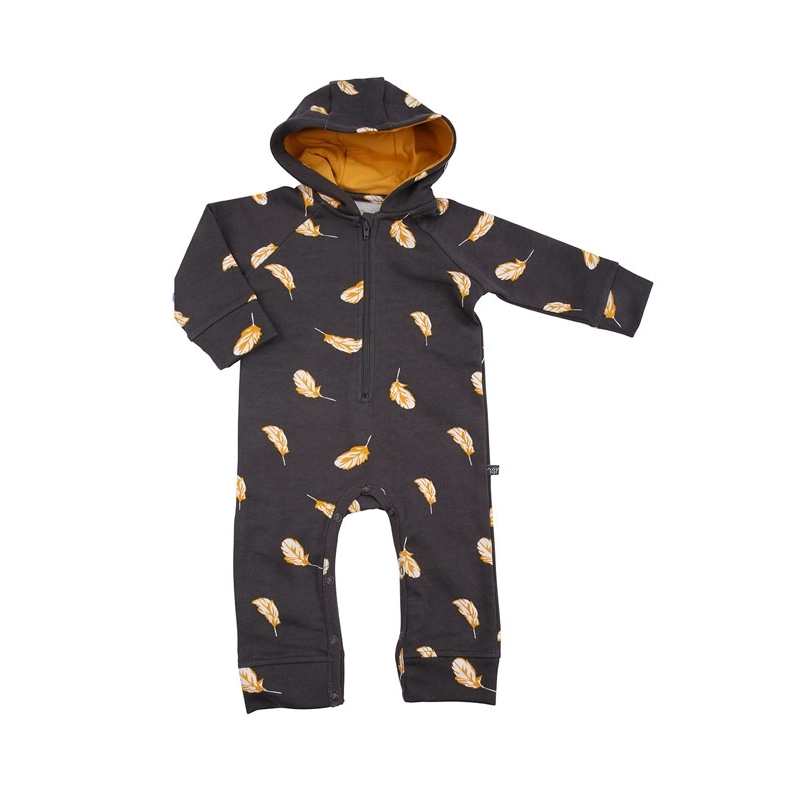 This lovely hooded jumpsuit has a zipper on the frontside and snap buttons on the inner side of the legs. Great playsuit! Have you seen Bob flying by? I think he just lost some of his feathers!